You are here: Home / Best Franchise Business / Are you buying a franchise business? Which franchise is best for you? Are you buying a franchise business? Which franchise is best for you? 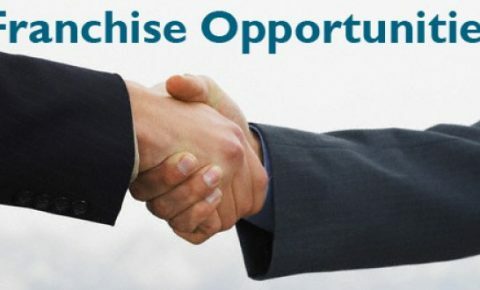 Once you have decided to buy a franchise, how do you know which one will be the right franchise for you to invest in and to grow for your future? Look for franchise businesses that offer a strong brand, good support and a turnkey system. More importantly, look for an industry that you are interested in and the niche of the chosen franchise. You want to be successful and happy in your success. Consider also the type of business environment of these industries. Working in a wholesale business is very different than in a retail environment. You want the chosen franchise to be compatible with your personality. Financial considerations are very important as well. Be sure you understand the total financial commitment from initial outlay to ongoing expenses and royalty and fee requirements. When you are serious about making an investment like this, you should have a financial professional and a lawyer go through the numbers with you so that you are clear on what your total financial commitment will be. You should meet both Corporate and support staff, as well as other franchise owners, to see if you are comfortable with the culture. Since these people will be in your life for many years once you buy into the franchise, you want to be sure that they are the right people to have in your life. You also want to visit franchisees to see how they interact with their customers on a day-to-day basis. Understand how being involved in a franchise business will impact your family. Will your family be involved in the business or will you run it alone? Are you willing to do everything yourself including spending more time away from your family or do you want to hire a manager? Will the franchise location be convenient to your home or will you be willing to commute? Finally, think about future growth. If you want to build a larger business long-term, you will want to consider a company that encourages multiple ownership. This is the best way to build a sustainable long-term business. Are you ready to find the best franchise opportunity for you today? If you are ready to learn more about franchising in a fun and rewarding industry, then contact us today so you can learn more about franchising.